The Queensland environment department has launched an investigation into a series of groundwater bores drilled by Indian miner Adani, which conservationists say were sunk without approval. The environmental group Coast and Country has obtained high resolution satellite and drone imagery which it says shows the "illegal" works at the site of Adani's controversial Carmichael coal mine project in north Queensland. "Adani have sunk six dewatering bores," said the group's Derec Davies. "They've needed approval, a groundwater approval, for these bores. They don't have that. "They've drilled into Great Artesian Basin aquifers, they've put at risk our groundwater particularly at a time when half the country's in drought." Dewatering bores are used in mining operations to depressurise the coal seam and to lower groundwater levels for open cut and underground operations. 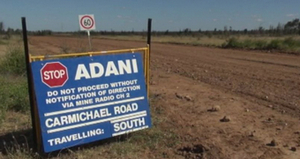 The company has told the ABC that it is abiding by the conditions of the Carmichael project's approvals. "Drilling has been undertaken at the Carmichael mine site to take geological samples and monitor underground water levels," said an Adani spokeswoman. "This is project stage one activity as permitted under Environmental Authority for the mine, which was issued in April 2016." An Adani spokeswoman also said the company had "not been notified of an investigation." Asked a series of detailed questions about the bores, the environment department said the "bores were recently drilled and were not in place at the time of a recent inspection of the site" by departmental staff. "The department is now investigating the location and purpose of these bores," a spokesman for the department said. 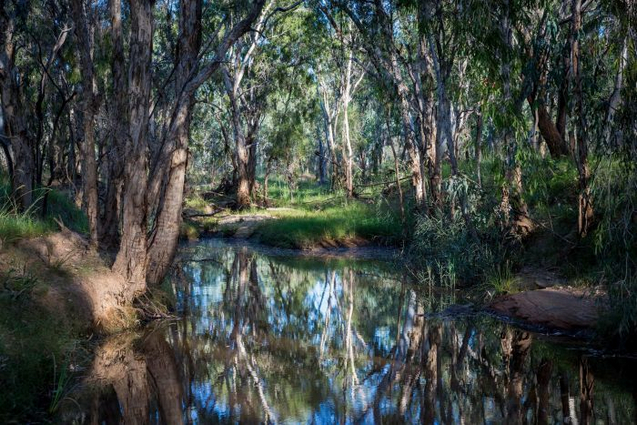 Conservationists have repeatedly warned that Adani's dewatering plans will see groundwater levels plummet, threatening the nearby Doongmabulla Springs, which are recognised as a nationally important wetland. "It's very concerning that Adani has apparently started work without confirming through the Groundwater Dependent Ecosystem Management Plan that the aquifer feeding these springs is not going to be disturbed by the mining," said Jo Bragg from Queensland's Environmental Defenders Office, which is acting for Coast and Country. 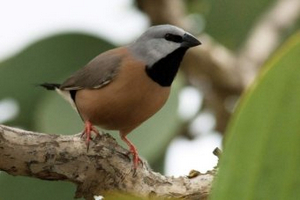 In a statement to the ABC, the environment department said that "the EA for Carmichael Coal Mine states that Project Stage 2 activities cannot commence until [the department] approves the Black-Throated Finch Management Plan (BTFMP) and the Groundwater Dependent Ecosystem Management Plan (GDEMP)." "Adani Mining Pty Ltd is required to identify the source of the Doongmabulla Springs complex prior to the approval of the GDEMP." Adani has lodged a draft GDEMP but it is yet to be accepted by the Queensland Government. The drilling of dewatering bores is classified as a "Stage 2" activity under Adani's Environmental Authority (EA). Mr Davies claims drone footage showed that Adani had performed other "Stage 2" work in contravention of its EA, such as building access roads and clearing trees and other vegetation for the construction of the six bores. "Through aerial imagery, we can see that Adani have cleared vegetation, put in roads, put in permanent infrastructure to impact our groundwater at a time of great drought and climate change. Adani have put at risk the sensitive, one-million-year-old springs by doing this illegal activity." Ms Bragg alleges the bores were drilled before Adani lodged its first Annual Return in March this year to Queensland's department of environment and science. "The annual return lodged by Adani does in fact say that they've done zero works relating to the site. The persuasive evidence unearthed by our clients is that that this is not true, that in fact project Stage 2 works have commenced including dewatering, including site clearance, including roadworks." Last week the Queensland Government announced it would prosecute Abbot Point Bulkcoal, owned by Adani, over the alleged release of coal-laden water near the Great Barrier Reef last year.